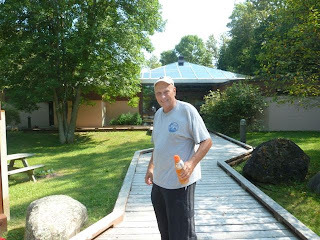 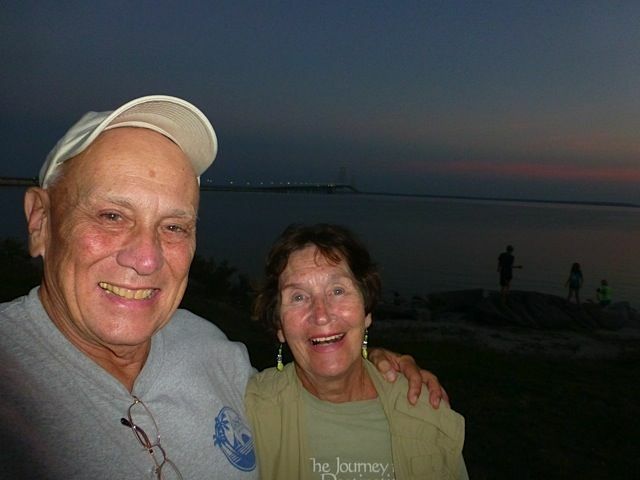 Today we drove to St Joseph Island, ONT around 100 miles from St Ignace and 50 miles from Sault Ste Marie, MI. 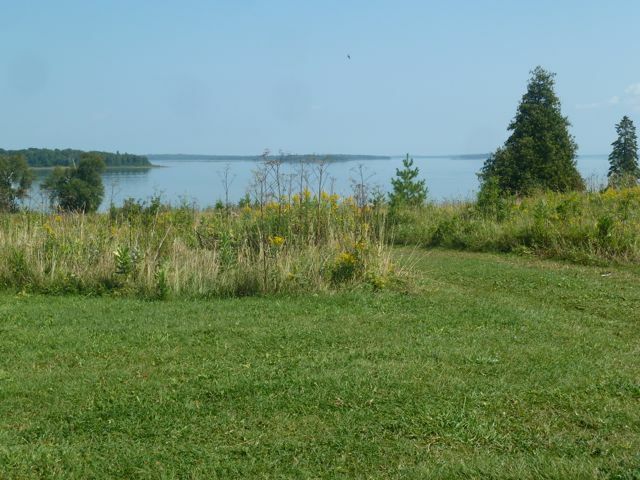 The island is picture perfect with rolling hills,sandy beaches,historic buildings and country roads. The fort sits at the southern end of the island on Lake Huron. 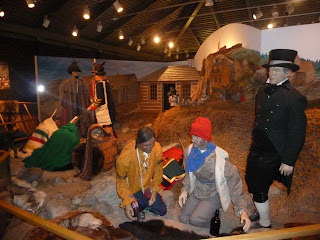 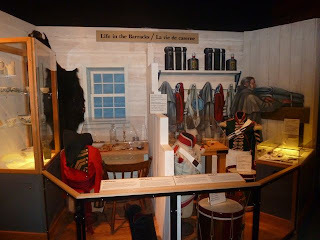 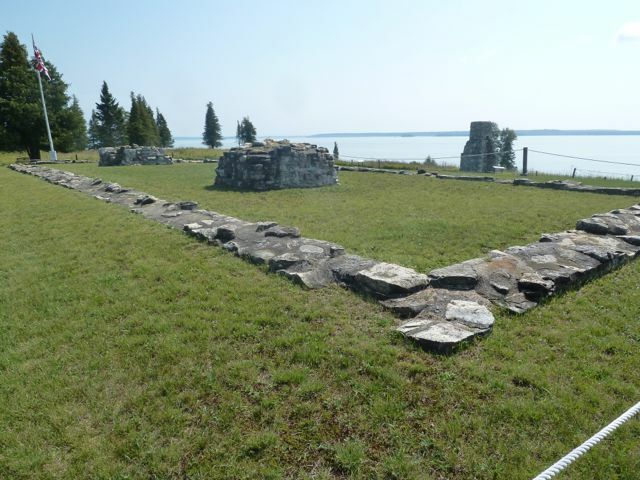 From 1796 to 1812 this outpost was a thriving community of soldiers,Aboriginal people and fur traders. 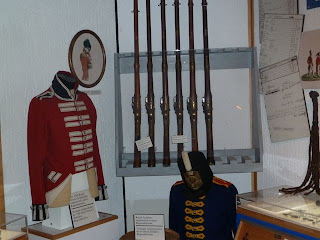 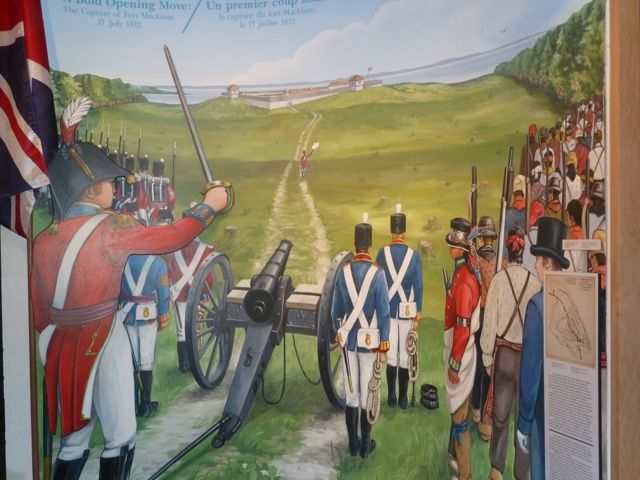 The fort was the staging ground for the initial attack in War of 1812 and the British most westerly outpost. 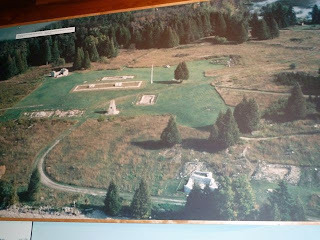 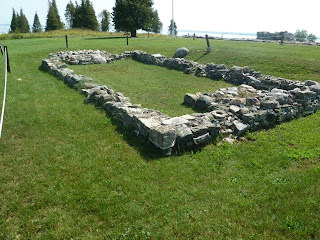 It was from here that the British launched an attack on Fort Michilimackinac on Mackinac Island and know today as Fort Mackinac. 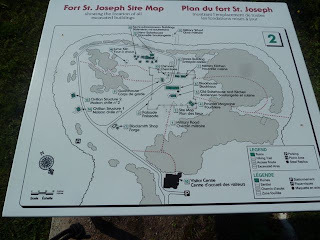 Later in the war Americans arrived at Fort St Joseph and burned it. 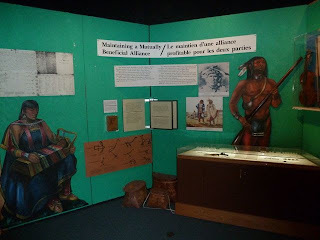 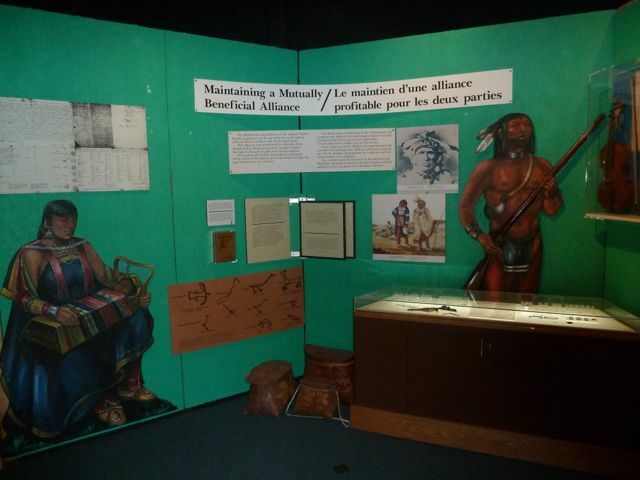 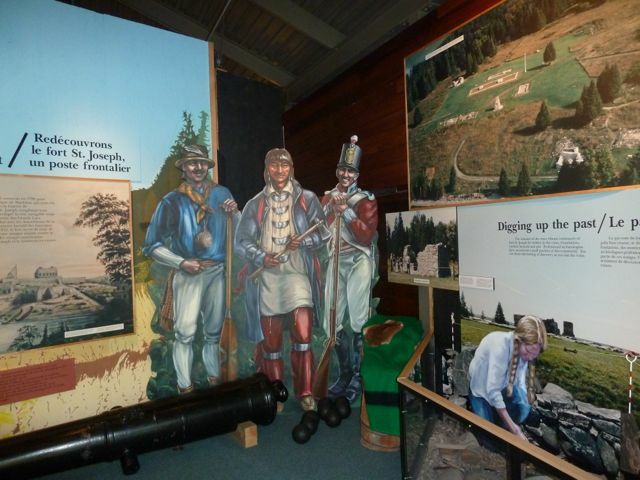 With the Treaty of Ghent ending the war, Fort Michilimackinac was restored to the Americans and the British decided not to rebuild Fort St Joseph. 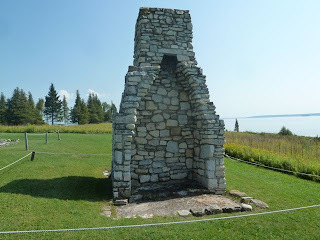 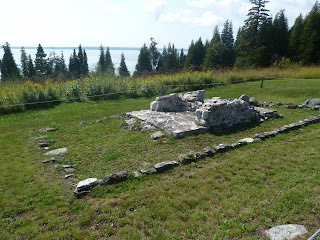 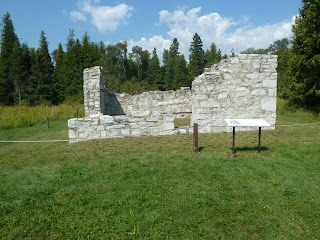 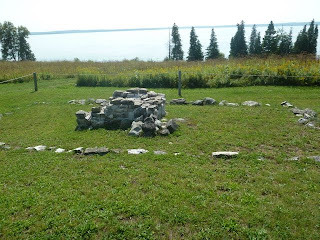 They later built a fort on Drummond Island between St Joseph and Mackinac Island. 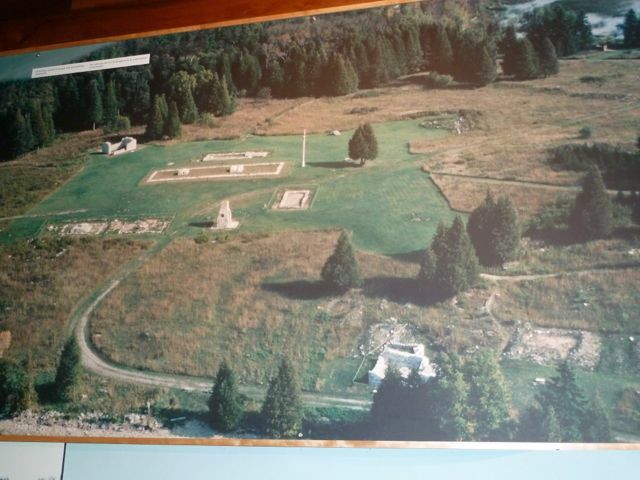 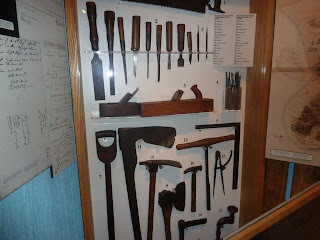 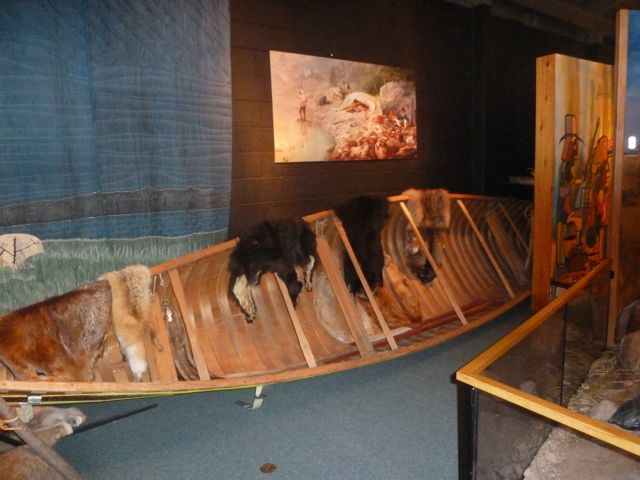 In the 1960's archaeological digs began and Parks Canada assumed control and built a visitor center. 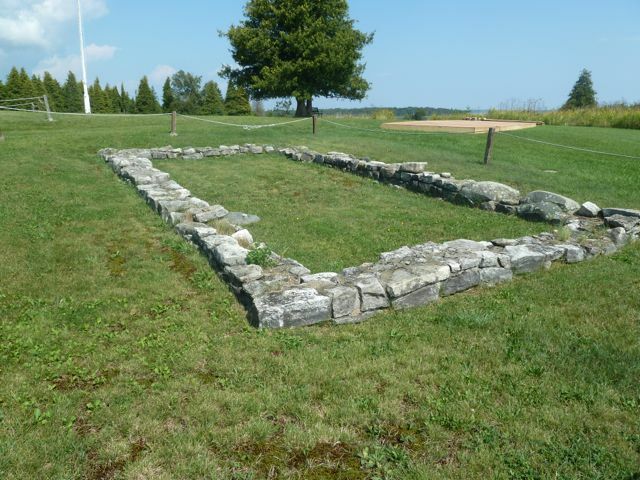 The short walk from the visitor center takes you to the site where you can view the outline and remains of the buildings. 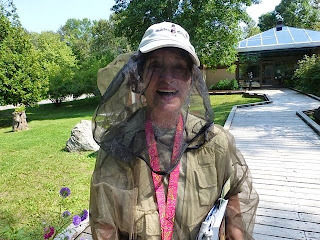 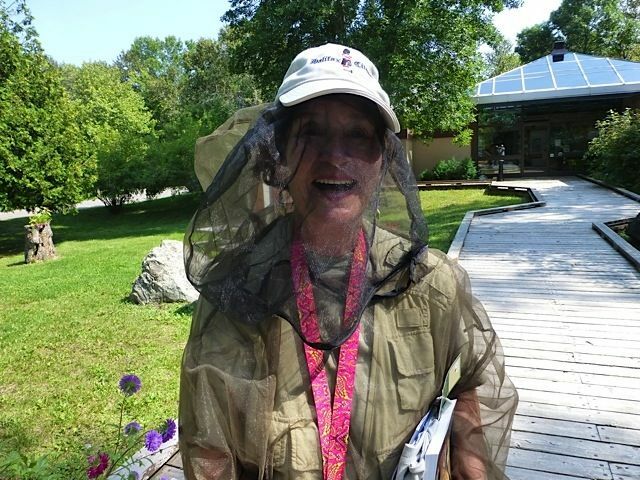 Mosquitoes attacked us, so put on my mosquito netting. 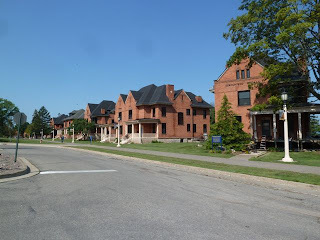 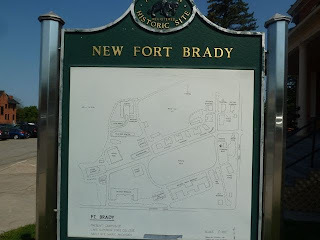 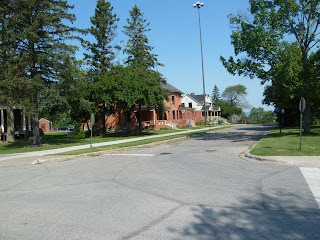 A drive back to Sault Ste Marie took us to the sites of Old Fort Brady and New Fort Brady which is now occupied by the Lake Superior State University. 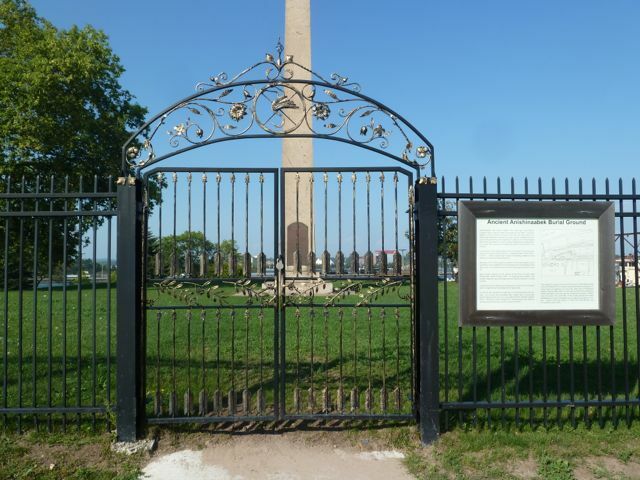 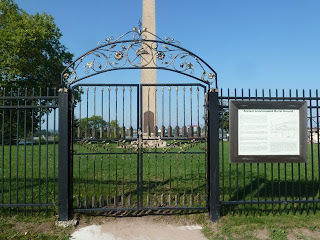 Only a marker remains from the first fort in Brady Park next to the Soo Locks. 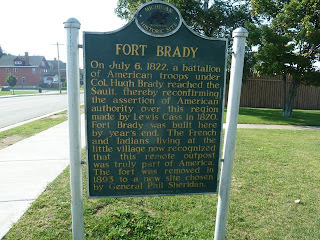 Fort Brady was established in 1822 on the St Mary's River in Sault Ste Marie, MI to guard against British incursions from Canada. 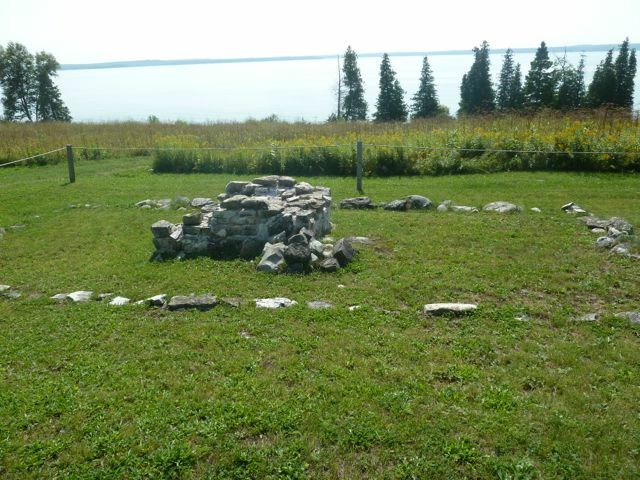 It remained here until 1893 when it was moved to higher ground. 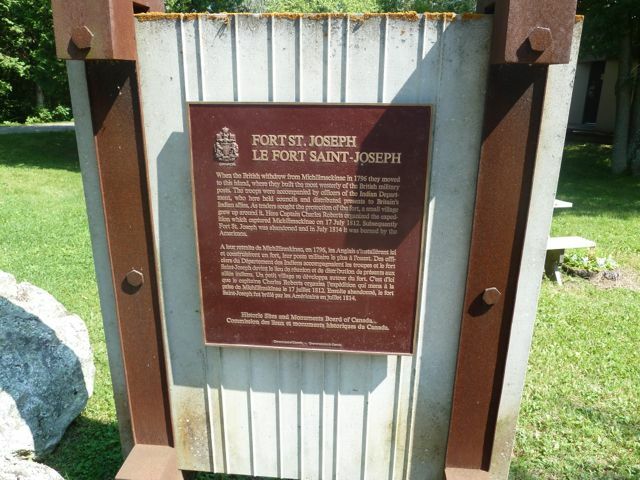 The fort was closed in 1944. 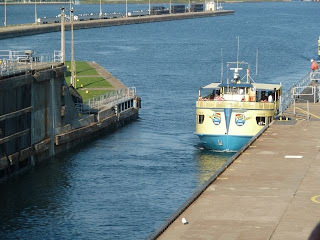 The primary responsibility was to protect the canal. 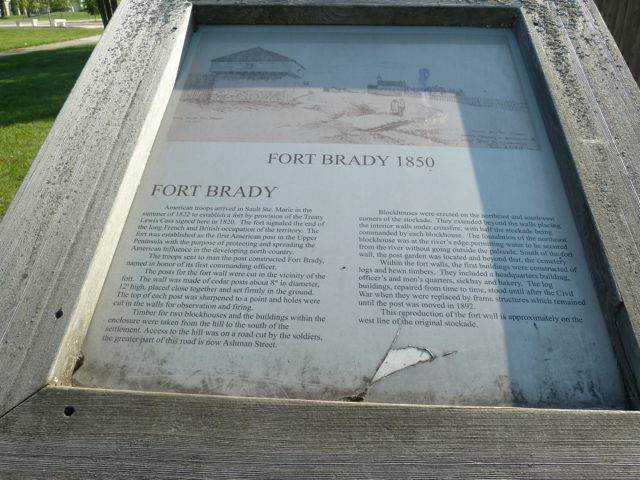 The fort was used during the Spanish American War and WWII. 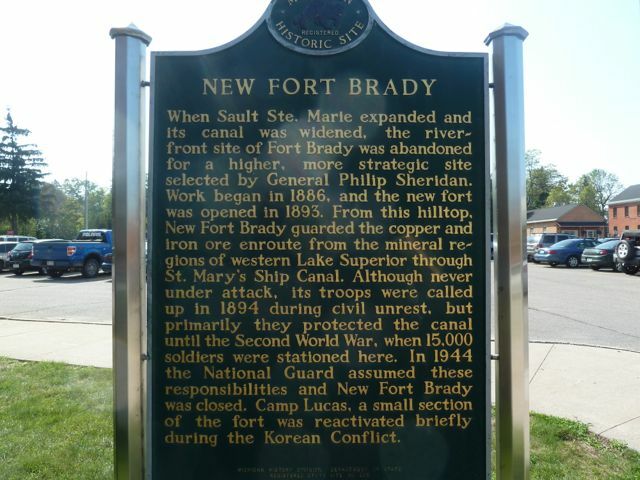 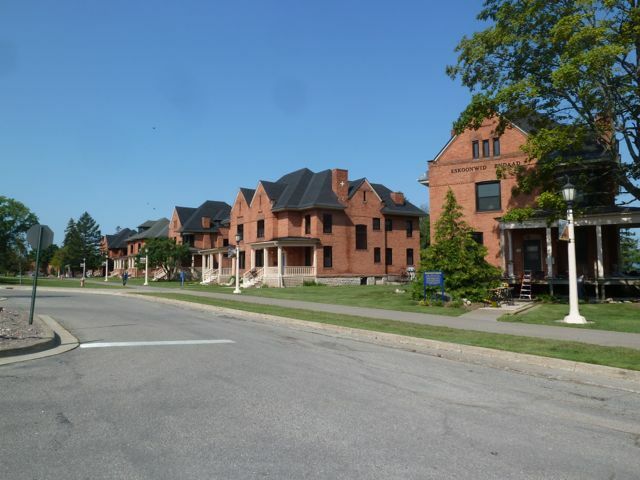 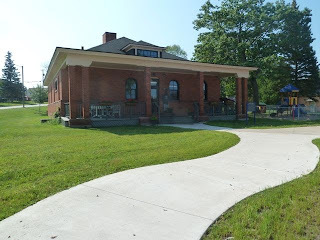 The fort was given to the Michigan College of Mining and Technology. After renovation,the fort was sold to the present college. Many of the original buildings remain and used for housing and offices. 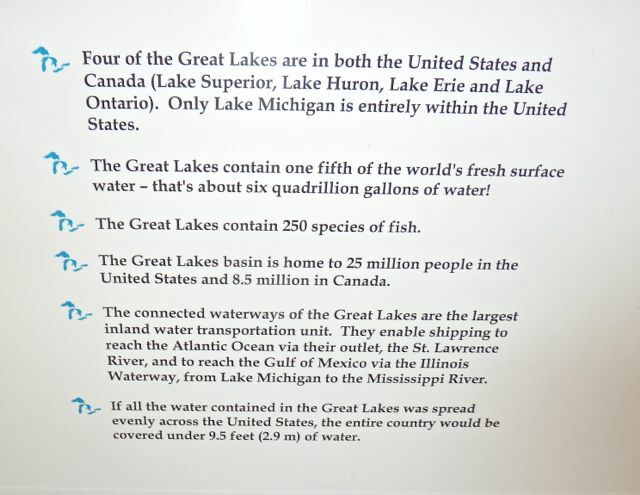 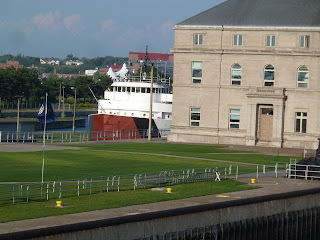 We then walked over the Soo Locks Visitor center and viewing platform. Since the next ship was scheduled at 630PM, we walked across the street and had dinner at Goetz's. 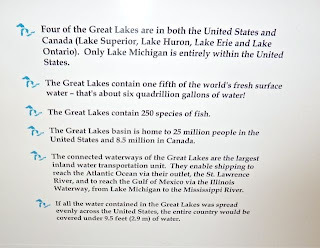 Whitefish is a favorite in this area, so we decided to enjoy. 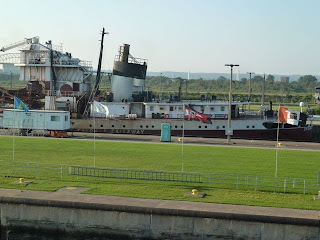 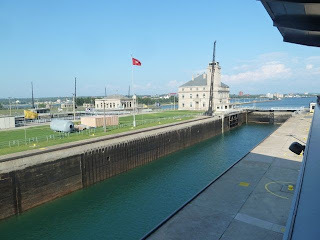 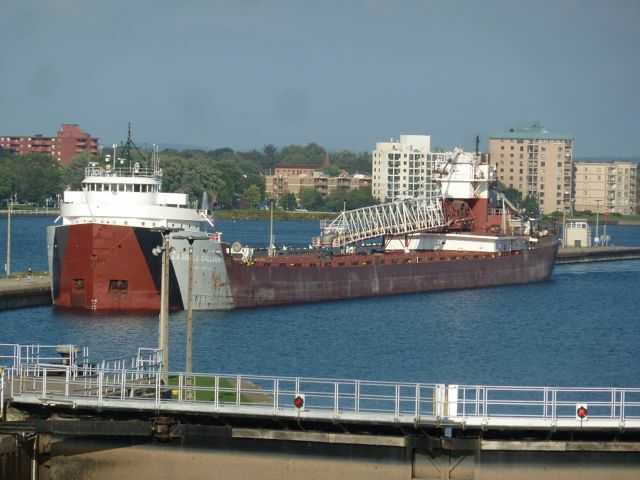 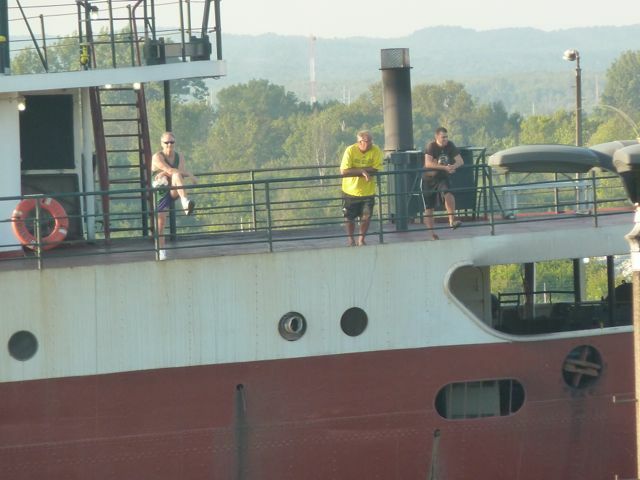 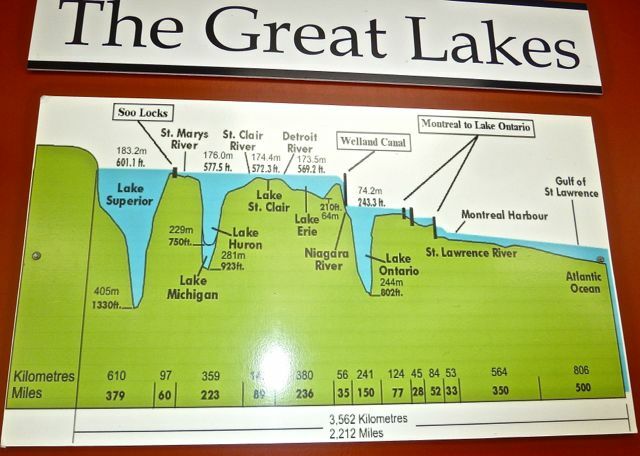 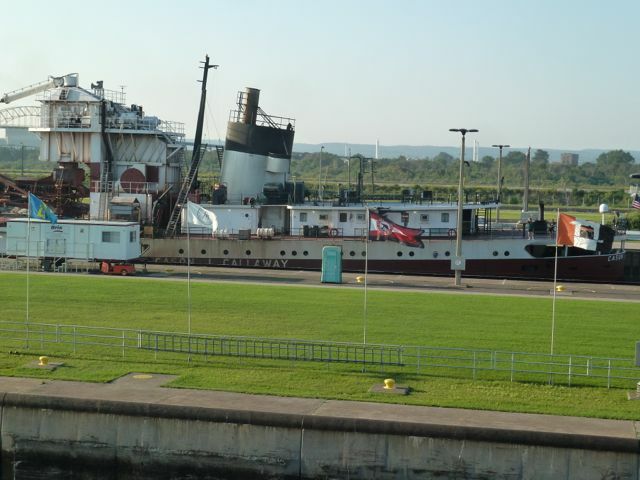 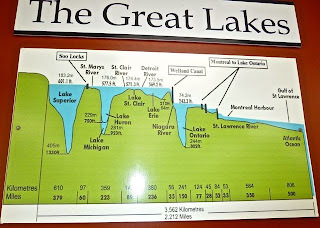 The Soo Locks consists of two canals and four locks that allow vessels to traverse the 21 feet drop in elevation of the St Mary's River between Lakes Superior and Huron. 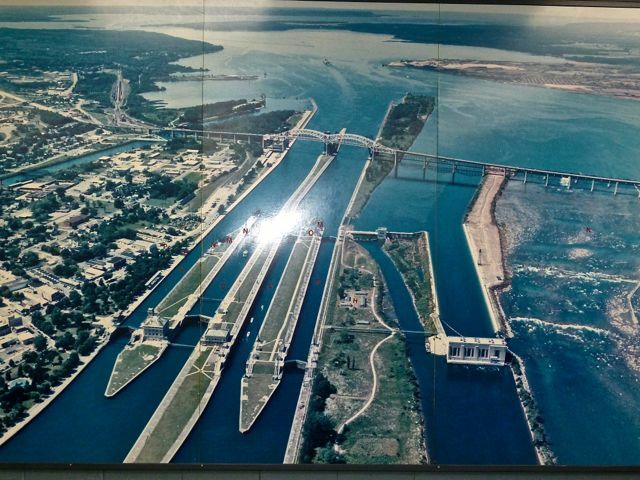 A new lock is being built,the first one since 1968, to handle much larger vessels. The locks today are opened by a button. More than 11,000 vessels carrying up to 90 million tons of cargo pass through the locks every year. 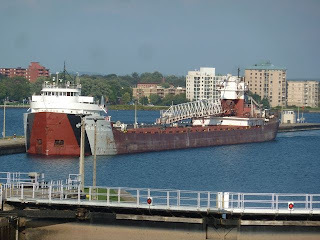 Most cargo is iron ore,coal, grain or stone. The oldest lock was built in 1914 and the last lock in 1968. The viewing platform is next to MacArthur Lock and much to our disappointment the vessel passed through the Poe Lock, but we still got the experience of seeing the ship pass. 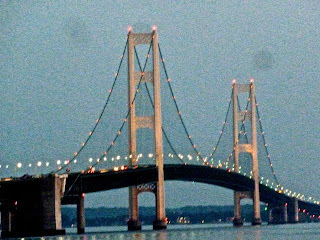 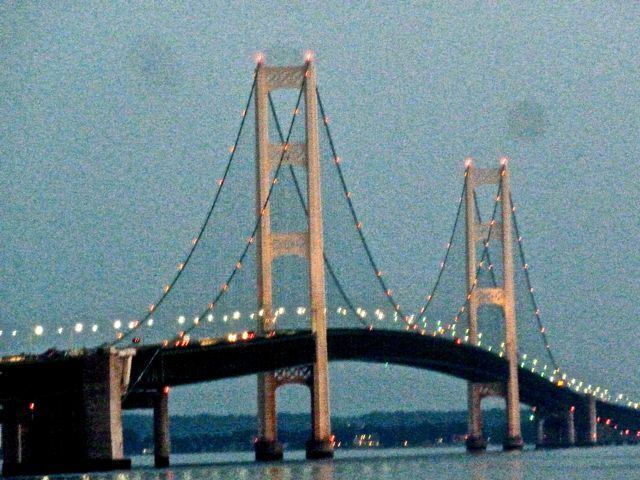 On our way back to campground we stopped at a viewing point in St Ignace to view the "Mighty Mac" at night.